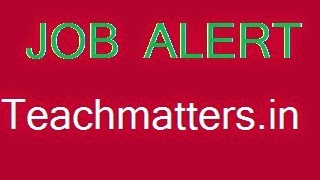 North Delhi Municipal Corporation (North DMC - MCD North) invited applications for various posts of teachers (Music Teacher, Drawing & Painting Teacher, Physical Education Teacher, Primary Teacher, Nursery Teacher, Special Educator-Primary) on contractual basis. Interested and eligible candidates can apply from 25 July 2014 to 08 August 2014 on MCD website. Note : For full details (eligibility, age, qualification, reservation etc.) of concerned post/posts click on Job Profile against the post/posts.